I said it before and I’m reiterating it. I don’t know about others but as far as l am concerned, the issue of the political crisis in Lagos is not about Ambode or Sawonolu but about Asiwaju. 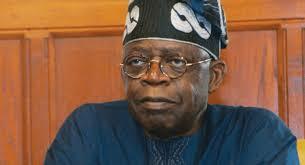 Asiwaju has done a lot for the South West and l don’t want him demystified. But as with many leaders, they don’t know when to apply the breaks. They get carried away with past achievements and the praises of acolytes and sycophants around them. Rather, he should embark on self introspection. * You had issues with Fashola as Governor and even tried to de y him ministerial slot. * You had issues with your Deputy Governors (Madam Kofo Bucknor-Akerele and Femi Pedro). You ended your governorship with the third deputy Governor. * You almost lost Osun but for the rigging of the supplementary election. God has been good to you. You are a billionaire. You wield enormous political influence. But it takes just a slip to fall. Asiwaju needs time for introspection. Obsequious and grovelling obeisance by political followers gets into a leader’s head. It takes the grace of God to handle this. So, the current Lagos issue is not about Ambode but you, Asiwaju. Time for self-examination. May God guide you right.